Infrared thermometers are used for measuring food temperature. These thermometers can read the temperature of any food safely. This device is very useful in the hospitality industry. An infrared food thermometer does not require touching the surface of the food physically. All you need is to simply point the thermometer at the food surface and pull the trigger in order to read the temperature. Due to the no touching feature, infrared thermometers are also known as non-contact thermometers. If you are in the hospitality industry or food business, the infrared thermometer can be incredibly useful in your kitchen. ​This essential cooking tool helps you prepare food with more precise methods. 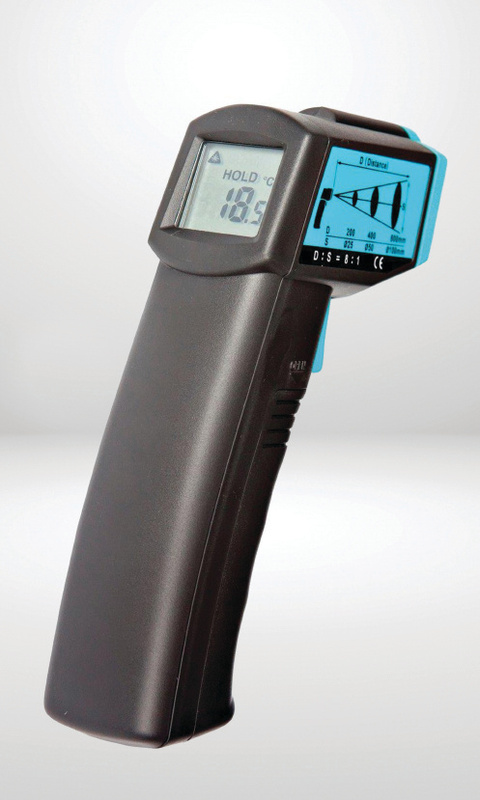 People who have used our infrared thermometers, can’t imagine cooking without them anymore. You can use our infrared thermometer to check if your food is at the right temperature and that it is safe to eat, especially when the food is potentially hazardous. You are definitely going to be impressed by using the infrared thermometer for your food service. It is a convenient way to know your food’s temperature. You can buy Infrared Thermomete​rs from us for your kitchen. Call us at 1300 555 204 and place your order. The infrared beam in this thermometer measures temperature and displays it on the display screen. 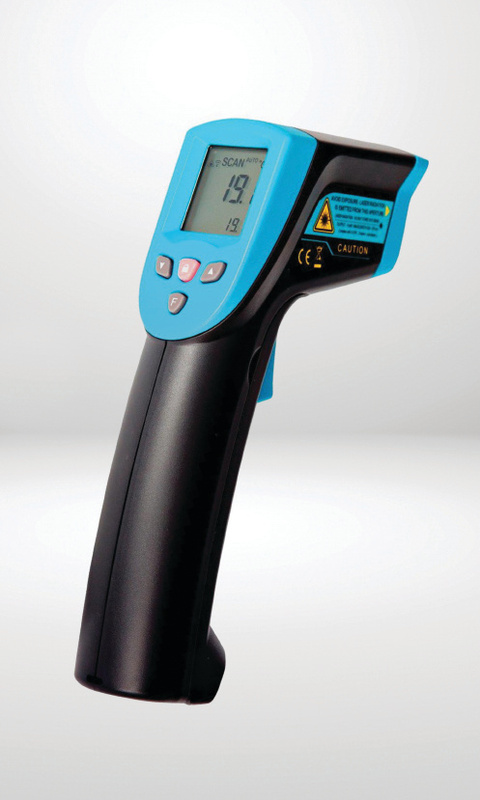 There is no rocket science behind the application of infrared thermometer. All you need is to pull the trigger and point the laser at your food. Within no time, the thermometer’s display will update and lock the reading when you release the trigger. It is very simple; the thermometer’s Max function will record the highest temperature and vice versa during the scan with no complicated buttons or settings. Why Buy Our Infrared Food Thermometer? Comes with Easy Display – The temperature is flashed in degrees Celsius on LCD display, making it easy and clear to read. HOLD Function – This function will freeze the display, allowing you to record the readings by taking an ample amount of time. Battery Error Prevention System (BEPS) – This system will automatically shut the meter off when the battery power is too low for giving an accurate measurement. Low Battery Indicator – A warning symbol will blink in the device when the battery level reaches below 10%. It is always recommended to be close to your food. This is because, the farther you are, and the less accurate the results can be. It is always good to measure multiple spots instead of one. There are chances that it may be hot on one side, but cold on the other side. This is specifically for food, so it is highly advisable not to use for any other purpose like knowing body temperature as there are other accurate devices for measuring that. Never point it straight towards your eyes; after all, it is a laser pointer. Hence, be careful and be safe while using it.